It seems crazy that December is already here. There are already a million things I need and want to do in these next few weeks before the new year arrives. Our basement renovation has become really real… pardon that weird grammar there, but that’s exactly how I feel! Measurements have been taken, and plans are in the works. We are housing family over Christmas, so things won’t really start till January, but we’re ordering a Unit (one of those storage containers that you can have at your home instead of storing elsewhere) for the next week or so to go ahead and start packing/weeding out/moving things out of the basement. It’s happening! We’re also gearing up for musical performances, family Christmas parties, and sweet traditions with our kids. I want to take EK to the Old Salem Candle Tea this year, because I think she’s old enough to like it now. I’ve been almost every year with at least a few of my college girlfriends, so I think it’ll be sweet to take my daughter this year. She loves sweets and Christmas music, so I’m hoping it’ll be a win! We’re going to the Tanglewood Festival of Lights on the 12th, on the hayride, just like two years ago! EK loved it then, so I bet she will really love it this year. And our cousins are going, as well as a few other friends, so it’ll be freezing but fun. It’ll be like a birthday celebration for me, since my birthday is the 13th! I’m almost done Christmas shopping (winning SO MUCH) so that’s a load off my shoulders already… and I’ve got mixed feelings to say that I did a lot of online shopping. I did it before Black Friday and Small Business Saturday and Cyber Monday and blah blah… so I can safely say that I avoided crowds in every manner possible. My Christmas cards are ordered and have arrived (make sure I have your address if you want one!) so I’m in the midst of addressing and stuffing those. All that’s left there is to go spend an obscene amount of money on stamps (blegh). 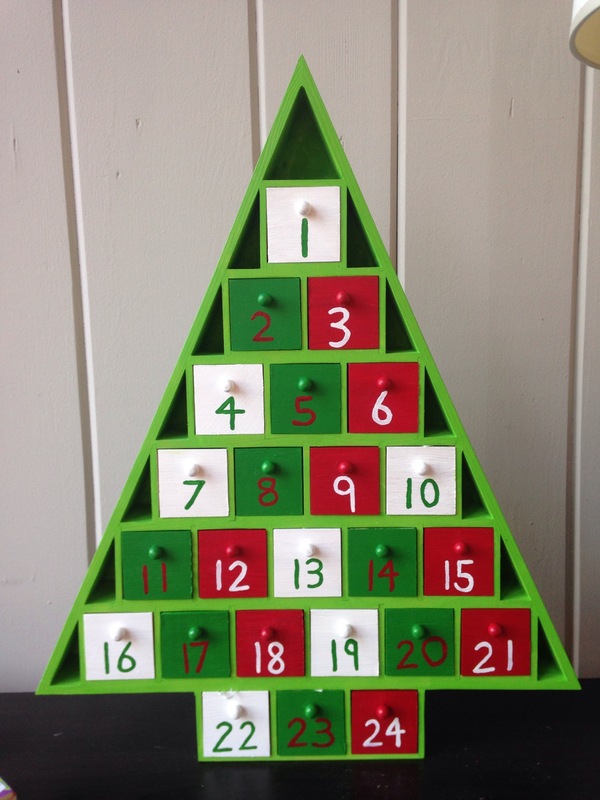 We’ve also got the Advent calendar I painted last year full of the tiny ornaments and Scriptures. I found the wooden calendar at A.C. Moore and just painted it myself. Cute, if I can give myself some credit! 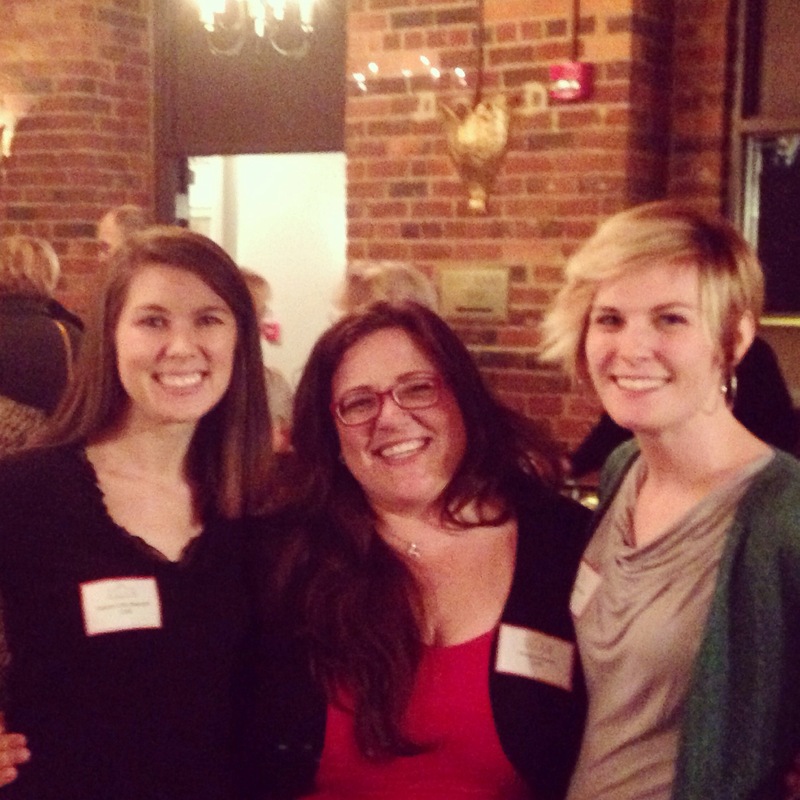 I went to a Salem alumnae holiday party with Lauren and Anne last night, and it was lovely to be out in high heels with the girls for a couple of hours. Yay Salem! This blurry picture is the only one I got, but I love my college roomies! 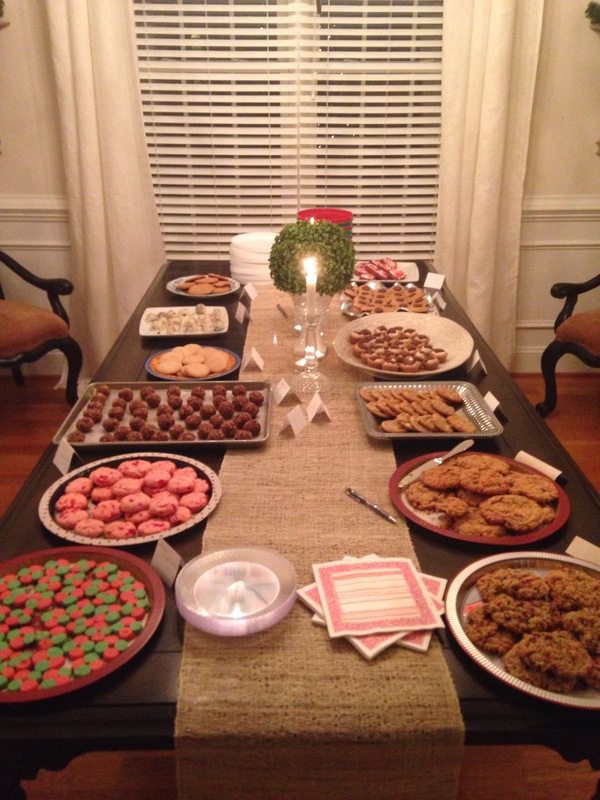 On Monday night, my sister-in-law Hannah hosted a cookie swap. Best idea ever, by the way, coming from me, a woman who loves cookies! I baked three batches, haha! But the spread was glorious! I’ve also started to plan J’s first birthday party! I can’t believe he’s almost one year old. It literally blows my mind that it’s true. I mean, I know he’s big, I know he’s smart, I know he’s developmentally a one year old. But it seems like just weeks ago that we were worried about him not gaining weight (hilarious to me now…) or re-babyproofing because he was starting to crawl. And now he thinks he can walk! Slow down, time! Anyway, I just wanted to have a “welcome December” or “oh my gosh, it’s already December!” post. What are you plans for the month? 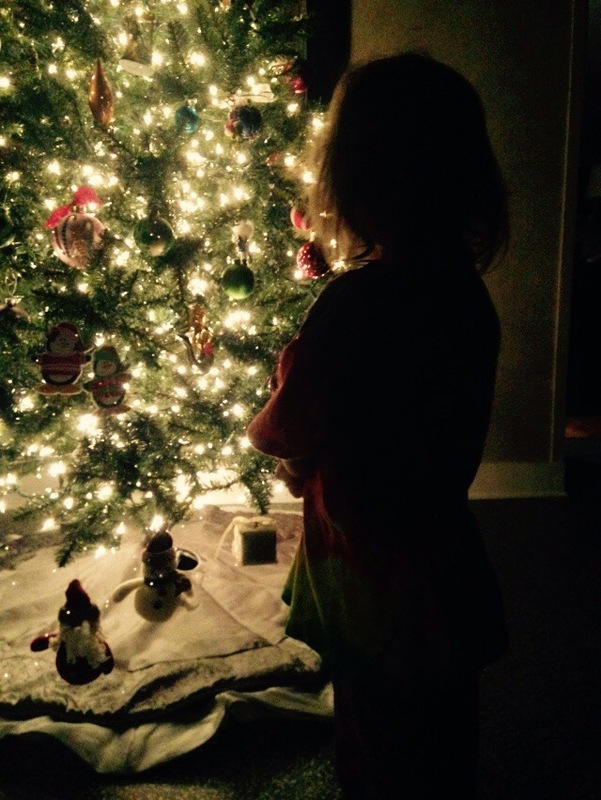 Fun holiday traditions? Finishing your shopping? Cleaning and cooking and baking for the masses?